After months of speculation, Apple finally announced the prices for the various versions of the Apple Watch. The most shocking of them was the price of the Apple Watch Edition. It starts at $10,000. But it wasn’t really shocking, at least not to those who are aware of the cost of materials used on the watch. But just so everyone is on the same page, here is a brief explanation of the pricing of the Apple Watch Edition. The key element in the design of the Apple Watch Edition and the one that separates it from the other two versions, or any other smartwatch for that matter, is the solid gold body. 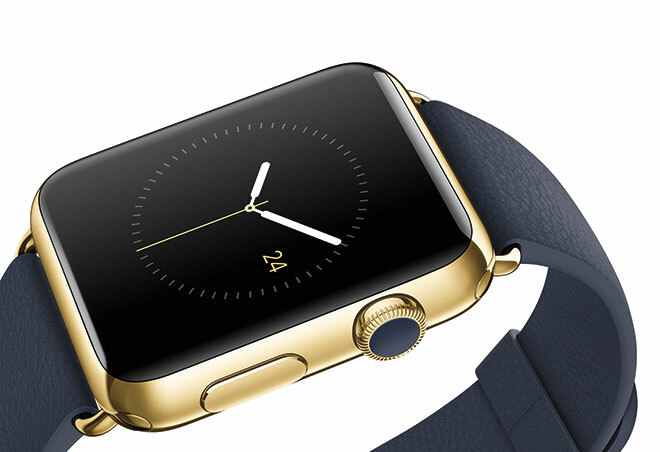 The entire casing of the watch is made out of 18-karat gold, along with the buckles on some of the bands. The gold is available in yellow gold and rose gold finishes. Gold comes in varying levels of purity, with 24-karat being the purest at around 99%. 18-karat gold is around 75% pure. The rest of it is taken by other metals, such as copper or silver, which makes it an alloy more than a pure metal. The reason Apple and other jewelry and watch companies prefer to use 18-karat over 24-karat gold is because 18-karat gold is harder due to its impurities. Gold, by nature, is a very soft metal and can be bent or dented easily. You can’t practically use it for something like a watch that gets bumped around often. The 18-karat gold Apple uses is roughly 2x harder due to the presence of other metals in it. Now here comes the cost part. 24-karat gold is currently priced at around $1200 per ounce. 18-karat gold is around $900 per ounce then. The case for the Apple Watch Edition (just the case, nothing else) weighs 69g, which is around 2.43 ounces. So the gold in the shell alone costs around $2200. And this is the cost of the gold, just the gold and nothing else. Imagine a small gold biscuit weighing 69g. That would cost $2200. But Apple is not selling you a gold biscuit, so there is this whole process that turns the solid pure gold into the case of the watch you see in the image above. And again, this is the cost of the case alone. It doesn’t include the cost of the actual watch inside, or the sheet of sapphire crystal covering it. Or the bands, many of which have solid gold clasps made out of the same material as the watch itself. Then there is the branding. Many of the luxury items cost a lot not because they cost a lot to make but the price is part of the allure of the product. It makes them more exclusive and sets the product and the brand apart. Value for money works inversely for luxury products; the higher the price, the more value it has in the eyes of its buyer. If Apple wants to compete with the Rolexes and the Omegas, it has to price it at that level to be taken seriously. This is a fairly rough explanation but hopefully it helps you understand to some degree why the Apple Watch Edition is so expensive. That doesn’t mean that it isn’t overpriced or that it is superior to standard chronographs. People who like traditional watches will continue to buy them and those want something different or modern will try this. It won’t hold its value as well as a classic watch but since Apple has decided to jump into the luxury watch market, it is going to price the Watch Edition like one. If you think people who buy these things always consider their value, you might be wrong. You can watch the video below on how the metal casing for the watches are made.